Hurricane Football Headed to County Final, Again! 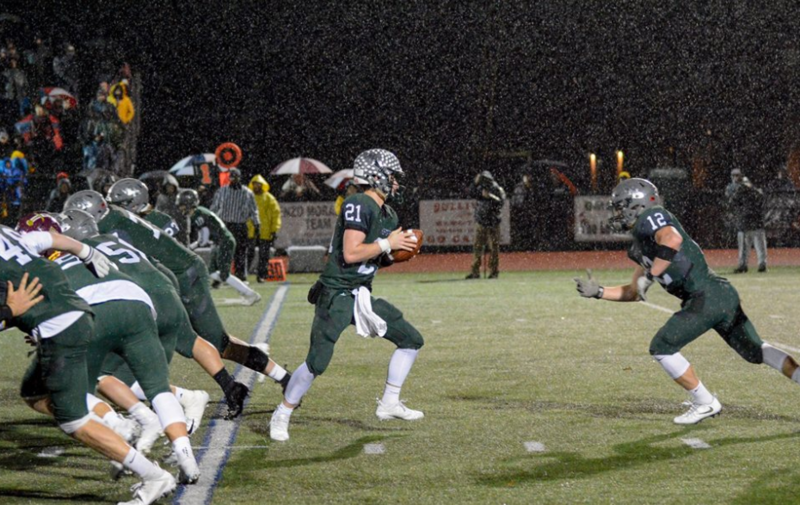 After a successful previous season winning the LIC, the Hurricane’s boys’ football team has made it to playoffs and they are more determined than ever to take the title of ‘Long Island Champions’ for their second consecutive year. Even with all of that training, they went away to a camp in upstate NY for five days in August to get ready for this season and they feel that they have worked hard to get the plays that they have. With all of this training and preparing to make it this far the team has good leaders to keep them focused. Next up for the team is the county final on Saturday, November 17th at 4pm at Stony Brook.